Start and learn english online right now. We do personalized classes for everyone and every needs. Book your 30 minutes free trial class now! You are already learning on your own, but you feel that you would benefit from a few extra hours with a native teacher to clear your doubts and answer your questions ? You want to take individual classes of english with a native teacher who will personalize your lessons according to your present level (from A1 to C1) and your style of learning ? You are planning to pass the TOEFL test or the TOEIC test but you are not 100% prepared, and you need to take a preparation course with a certified teacher ? You want to learn english online in a different way that will allow you to spare some money and have more fun, by forming a group class with your friends ? Your company plans to extend its activity abroad, and you or your employees need to take business-oriented english classes that also correspond to your area of expertise ? Your child is between 6 and 18 years old, and you want to suscribe him to english online classes specially for kids or young adults ? Take your free 30 minutes trial class with your future teacher to see if you’re interested. Purchase the hours of class you will need ; you can buy them one by one or in packages – with discounts. Schedule your lessons with your teacher and enjoy the adventure! The more dedication you put in, the quicker you will progress. 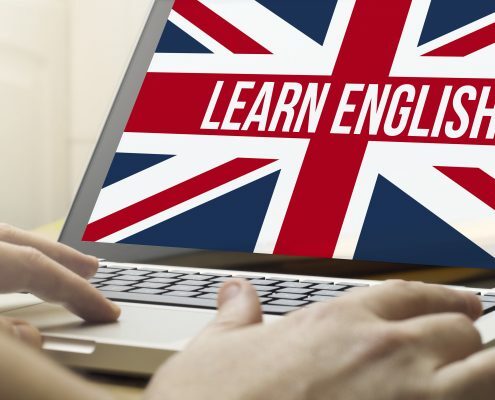 Why learn english with Language-Online? All our teachers are native english speakers, so we guarantee that you will learn the best english. Also, they are all certified and have experience. We reduce the admisnistrative fees to the minimum – there is no subscription fee. Also, our teachers live in countries where the cost of life is less expensive, so we can offer you the best prices. We offer you a 30 minutes free trial lesson, during which you will discover your teacher and our methods. Afterwards, you can decide whether you continue the adventure with us or not. Your teacher will personalize the lessons just for you. We put our focus entirely in our students as we want to be part of everyone of your successes in your learning process. Forget about the money and time constraints of having to come to school to take your lessons ; Learn english online from your home. You just need a computer with Skype installed. Buy more hours of lessons together and get more discounts. We offer you up to 20% discounts on the total price ! 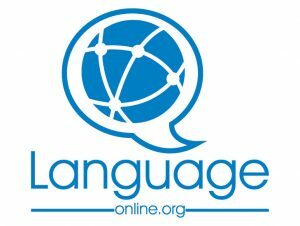 At language Online, when you pay for one hour of class, you get one entire hour of class – 60 minutes. Make the most of your time learning english ! We don’t put expiration dates on the hours you buy. You can make a pause and come back to take classes with your teacher even years after, and you will be able to do so without any extra cost. You can schedule your lessons with your teacher for when you want, he will adapt to your own timetable – even on week-ends and public holidays. At the same cost. Why learn english at all ? Obviously, speaking english will open you many doors and opportunities. Not only is it the most commonly spoken language in the world (one out of five persons speak english), but it is the language of science, medias, diplomacy, internet… If you look around you, you will realize how much it is everywhere, so much that it became essential. The good thing is, it isn’t known as a difficult language to learn, with its simple alphabet and grammatical structures. It is also a fun process and it is very rewarding. English is an official language in 75 countries and is spoken as a first language by 400 millions persons. If you like travelling, that makes a lot of places and cultures to visit ! You will be able to make yourself understood without a problem, while you enjoy the views and the local culture in a deeper way. You will grow more as a person as you discover and understand from the inside foreign values, habits and ways of life. Not to mention that english is the language of tourism, and is the one language that will most probably be understood in any other place of the world. Knowing english will enable you to enjoy the museums and cultural places all over the world. Knowing english will enable you to plan a career in a multinational company in your country, or even to work abroad. Moreover, today, it is a prerequisite demanded in most of the job interviews. More than an advantage on one’s curriculum to know english, it turns to be a disadvantage not to know it. Of course, you might also be thinking about studying in a english-speaking university, both for the job opportunities that will follow, and for the fantastic human experience it promises. You’ll meet a lot of interesting people from all around the world and you will be able to exchange ideas, thoughts and concepts. Of course, before planning such a trip, you will have to learn english which is a prerequisite for the inscription. Have you imagined how more enjoyable it would be if you didn’t have to rely on traduction while you enjoy your favorite movies, songs, books or TV shows ? Original version always tastes better than the translatated version… when it is available. You will have access to a vast volume of new medias and informations when you make a search in the internet, and you will be able to take part in more discussions in blogs or forums. And to a greater choice when you go to the cinema or the library. La empresa en la que estoy trabajando inició a hacer negocios con México. Y me vi en la necesidad de aprender español para comunicarme con lo empresarios mexicanos. Por esto probé los 60 minutos de prueba gratis de Language-online y me decidí a aprender con el profesor de esta plataforma. No me arrepiento de haber invertido en estos cursos, ahora viajaré a México y aplicaré todo lo aprendido. Quiero hacer estudios de post grado en España, uno de los requisitos para estudiantes extrajeros es leer y comprender los libros escritos en español. Por lo que visité la plataforma de Language-online y la accesibilidad de tomar clases programadas en distintos horarios me convenció. Como resultado ahora puedo cumplir con todos los requisitos para hacer mi maestría, y con eso sé que se abrirán muchas puertas.